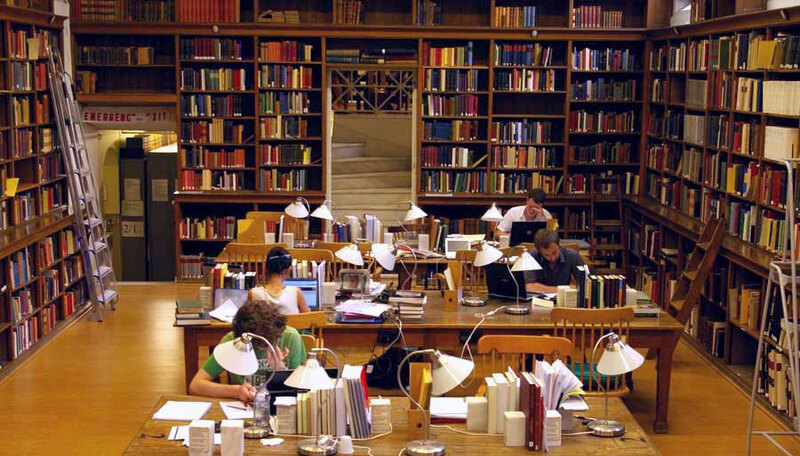 Library of the British School at Athens. The British School at Athens is pleased to announce the A.G. Leventis Fellowship in Hellenic Studies. The Fellowship, funded by the A.G. Leventis Foundation, is tenable at post-doctoral level to support research into the anthropology, archaeology, architecture, arts, environment, geography, history, language, literature, religion and topography of Greece and Cyprus, and related areas, from prehistory to the late 19th century/ early 20th century. The Fellowship is tenable for three years from 1 October 2018. The A.G. Leventis Fellowship represents an important strengthening of the intellectual life of the School and of its relations with Greece and Cyprus. The School is looking for candidates of the highest potential who will make best use of the opportunity for a prolonged period of research in Greece and other Greek lands. If the Fellow is not fluent in Greek, it is essential that s/he become fluent within six months of taking up the Fellowship. Furthermore, any Fellow whose native language is other than English must be or become fluent in English, again within six months of taking up the Fellowship. The A.G. Leventis Fellow will be expected to take a leading role in the life and work of the School. Teaching and other duties will be agreed with the Director at the beginning of each academic year. The Fellow will be expected to give one seminar per year and one public lecture during the term of the Fellowship. The Fellow may be asked to participate in courses taught by the School, and s/he may undertake a small amount of outside teaching with the approval of the Director. It is expected that the Fellow will take a lively interest in the research of School Students. The Fellow must spend at least nine months a year in Greek lands, and has a duty to inform the Director of absences from Athens of more than four days between 1 October and 30 June. -a research proposal (1,500 words maximum). Shortlisted candidates may be invited to submit published or unpublished work, and interviews have provisionally been scheduled for Monday, 11 June 2018. The salary will be €22,000 per annum. In addition, the School offers health insurance and can provide continuity of any pre-existing USS pension scheme. The School will pay for travel to Athens at the commencement of the Fellowship, up to £300 for one return journey home per year thereafter, and for return travel at the end of the Fellowship. The School will also offer research expenses (to include travel, attending conferences, preparation of or obtaining research materials, etc.) of up to £1,500 per year. The Fellow should apply to the Director for any such grants in advance. The Fellow will be expected to have an affiliation with a UK university. (If necessary, the School will help to negotiate this.) S/he must submit a report each May to the Director for forwarding to the School’s Council and the A.G. Leventis Foundation on the year’s work. In the first year, during which the appointment will be probationary, the Fellow should also submit an interim report in March. The A.G. Leventis Fellow will acknowledge the School and the Fellowship in all publications resulting from tenure of the post. Fellows are encouraged to reside in the Hostel in the first instance.